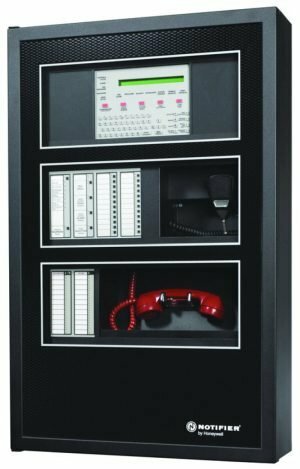 The FireWarden-50 is perfect for smaller buildings requiring a minimal amount of initiating and notification devices – installations typically served by conventional panels. 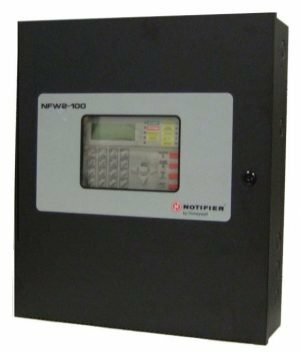 The NOTIFIER FireWarden-50 (NFW-50) is a Fire Alarm Control Panel (FACP) and Digital Alarm Communicator/Transmitter (DACT) combined into one circuit board. 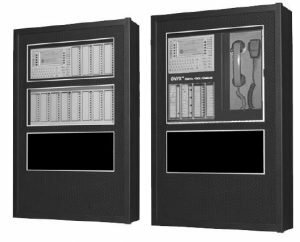 This compact, intelligent addressable control panel supports up to 50 addressable devices in any combination of detectors or modules. 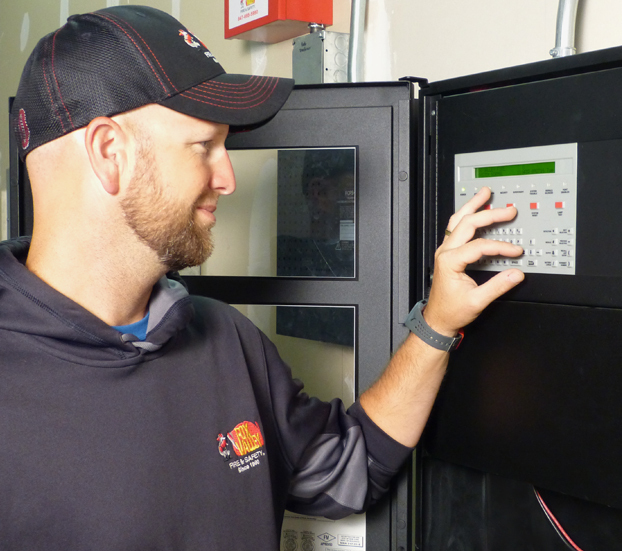 With an extensive list of powerful features, the FireWarden-50 programs just like FireWarden-100 products, yet fits into applications previously served only by conventional panels. The FireWarden-50’s integral DACT transmits system status (alarms, troubles, AC loss, etc.) to a Central Station via the public switched telephone network. It also allows remote and local programming of the control panel using the VFWARDENCD Upload/Download utility. 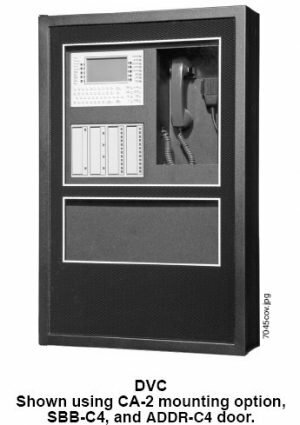 In addition, the control panel may be programmed or interrogated off-site via the public switched telephone network. Any personal computer with Windows™ 95 or greater, and compatible modem with a speed of 14.4 kbps or faster and Upload/Download software kit VFWARDEN-CD, may serve as a Service Terminal. This allows download of the entire program or upload of the entire program, history file, walk-test data, current status and system voltages. The power supply and all electronics are contained on a single circuit board supported on a new quick install chassis and housed in a metal cabinet. Available accessories include local and remote upload/download software, remote annunciators, and reverse polarity/city box transmitter. The FireWatch Series internet monitoring modules IPDACT-2 and IPDACT-2UD permit monitoring of alarm signals over the Internet saving the monthly cost of two telephone lines. Although not required, the secondary telephone line may be retained providing backup communication over the public switched telephone line. NOTE: Unless otherwise specified, the term FireWarden-50 is used in this data sheet to refer to both the FireWarden-50 and the FireWarden-50E FACPs. For FireWarden-50C, refer to DN-60446. Single addressable SLC loop which meets NFPA Style 4, 6 and 7 requirements. 50 addressable device capacity (any combination of addressable detectors and modules). 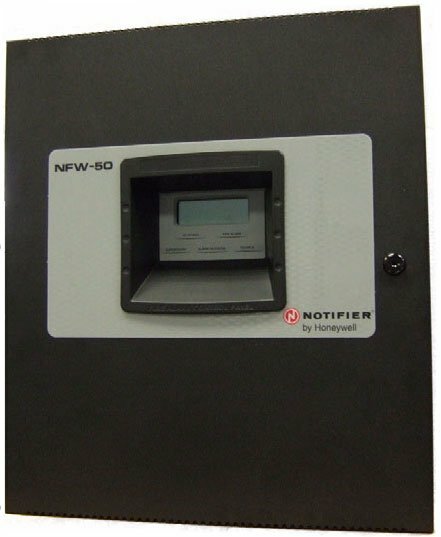 Compatible with NOTIFIER FireWarden addressable devices. Silence Inhibit and Auto-silence timer options. Continuous, March Time, Temporal or California code for main circuit board NACs with two-stage capability. Selectable strobe synchronization per NAC. 2.5 A total power for NACs. NOTE: Maximum or total 24 VDC system power shared between all NAC circuits and the ANN-BUS is 2.7 A.
Auto-program (learn mode) reduces installation time. Custom English labels (per point) may be manually entered or selected from an internal library file. Two programmable Form-C relay outputs. Continuous fire protection during online programming at the front panel. Program Check automatically catches common errors not linked to any zone or input point. OFFLINE PROGRAMMING: Create the entire program in your office using a Windows®-based software package (order programming kit VFWARDEN-CD separately). Upload/download system programming locally. AC Power: FireWarden-50E: 240 VAC, 50 Hz, 1.5 A. Wire size: minimum 14 AWG (2.00 mm2) with 600 V insulation. Nonpower-limited, supervised. Communication Loop: Supervised and power-limited. Notification Appliance Circuits: Terminal Block provides connections for two NACs, Style Y (Class B) or Style Z (Class A). Special Application power. Power-limited, supervised circuitry. Maximum signaling current per circuit: 2.5 A. End-of-Line Resistor: 4.7 kohm, 1/2 watt (P/N 71252 UL listed) for Style Y (Class B) NAC. Refer to the NOTIFIER Device Compatibility Document for listed compatible devices. Two Programmable Relays and One Fixed Trouble Relay: Contact rating: 2.0 A @ 30 VDC (resistive), 0.5 A @ 30 VAC (resistive). Form-C relays, nonpower-limited, non-supervised. Door: 19.26″ (48.92 cm) high x 16.82″ (42.73 cm) wide x 0.72″ (1.82 cm) deep. Backbox: 19.00″ (48.26 cm) high x 16.65″ (42.29 cm) wide x 5.25″ (13.34 cm) deep. Trim Ring (TR-CE/B): 22.00″ (55.88 cm) high x 19.65″ (49.91 cm) wide. Dimensions: 20.00″ (50.80 cm.) high x 22.5″ (57.15 cm.) wide x 8.5″ (21.59 cm.) deep. This system meets NFPA requirements for operation at 0 – 49ºC/32 – 120ºF and at a relative humidity 93% ± 2% RH (noncondensing) at 32ºC ± 2ºC (90ºF ± 3ºF). However, the useful life of the system’s standby batteries and the electronic components may be adversely affected by extreme temperature ranges and humidity. Therefore, it is recommended that this system and its peripherals be installed in an environment with a normal room temperature of 15 – 27ºC/60 – 80ºF. LOCAL (Automatic, Manual, Waterflow and Sprinkler Supervisory). AUXILIARY (Automatic, Manual and Waterflow) (requires 4XTM). PROPRIETARY (Automatic, Manual and Waterflow). CENTRAL STATION (Automatic, Manual and Water- flow, and Sprinkler Supervised). The listings and approvals below apply to the basic FireWarden-50 control panel. In some cases, certain modules may not be listed by certain approval agencies, or listing may be in process. Consult factory for latest listing status.